While exploring many archaeological sites, galleries and museums in Turkey and Italy, I felt in awe of the human achievement – not just the achievement of the artists but of the archaeologists, curators and restorers involved in preserving the work of centuries. 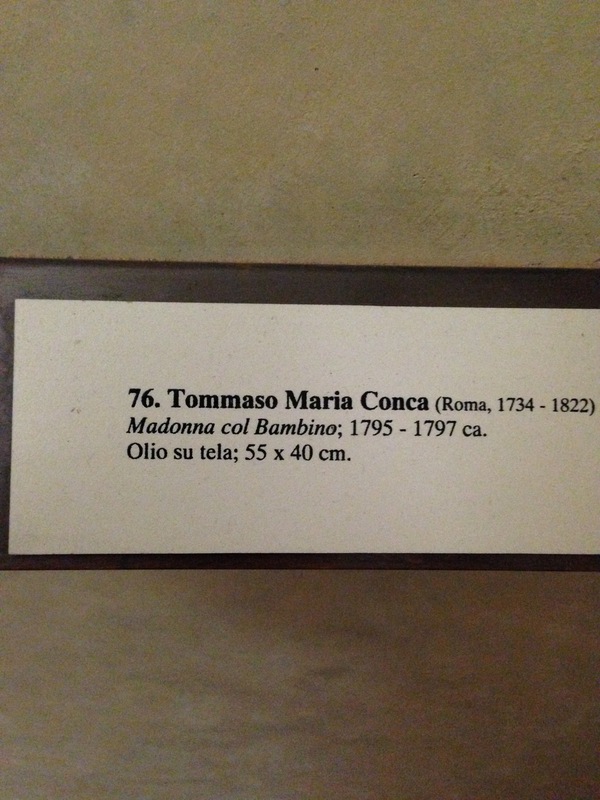 Then, on a day when I thought I couldn’t possibly enjoy one more painting, sculpture or fresco – let alone yet another ‘Madonna con Bambino’ – this painting by Tommaso Maria Conca (in the Pinacoteca Comunale, Città di Castello) – touched my heart. 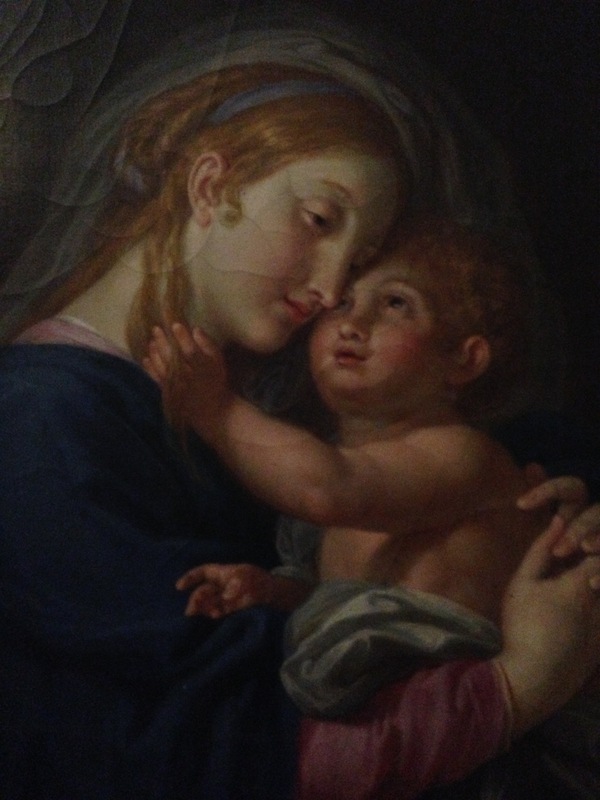 See how the wise-looking, clear-eyed baby seems to be comforting his mother. Yet this is the wrong order of things – a mother should comfort her child. This, and the woman’s inward-looking expression, caused me to feel immense pity for her. She is in pain and at the same time resigned. Nothing she can do will prevent the fate that awaits her precious son. Madonna col Bambino; 1795-1797 ca. Olio su tela; 55 x 40cm.